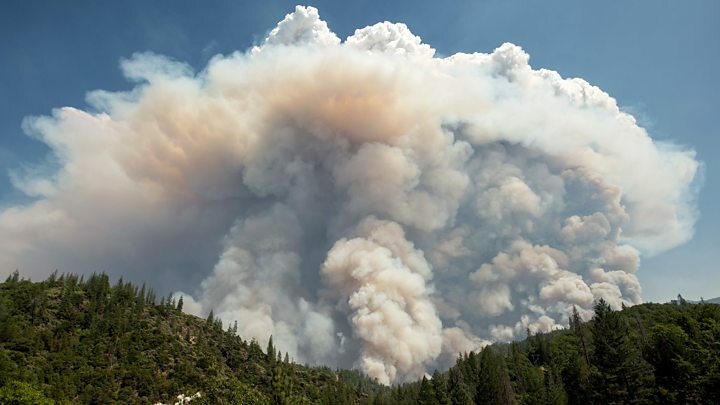 Meanwhile US President Donald Trump has reiterated social media comments that the fires’ spread is being “made so much worse” by California’s environmental laws. What is the row with Mr Trump? The US president has criticised Governor Jerry Brown and California’s environmental laws on social media in recent days. He tweeted on Monday that the wildfires were being “magnified & made so much worse” because of a Californian policy to divert water into the Pacific Ocean. Deputy fire chief Mr Mclean dismissed Mr Trump’s comments to US media, saying firefighters had “plenty of water” to tackle these wildfires. Some believe Mr Trump’s tweets refer to a row about water supplies, fish habitat protection and local farmers – but environmental experts say this has no relevance to the state’s firefighting capability.